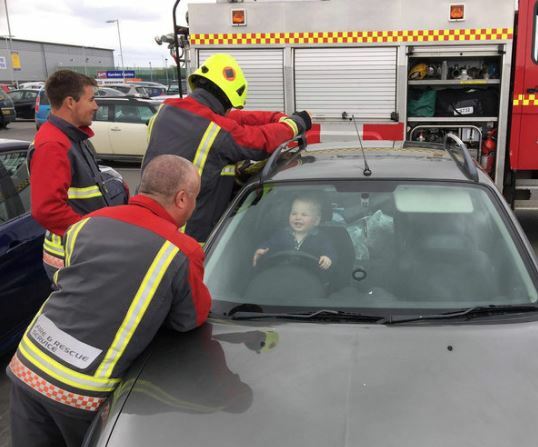 A 14-month old baby locked himself inside his mother’s car, and can be seen grinning at the fire fighters trying to save him. Brandon Emery was lapping up all the attention when the emergency services were called to the Lidl carpark in Cornwall. His mother Kirsty Green has just unloaded the groceries into the boot of the car when Brandon managed to trap himself. 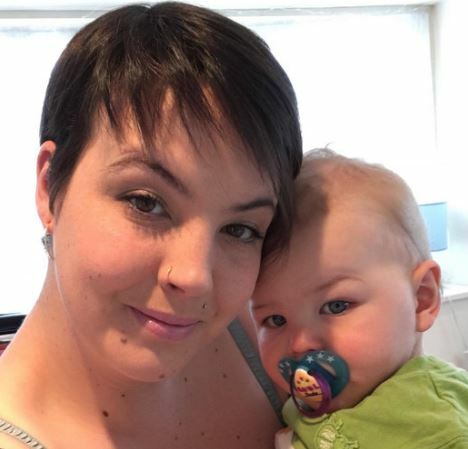 The 27-year-old mum described the Bude Community Fire Station crew as ‘amazing’ and a ‘credit to the community’. It is the smiling face of Brandon that has captured attention though, and he can be seen smiling in the driver’s seat, holding onto the steering wheel. I decided to put him in the back of the car while I was unloading the shopping so he didn’t keep trying to stand up in the trolley. Green said she absent-mindedly locked the car keys in the boot when little Brandon pushed down the central locks inside the car. Children can often suffocate if trapped inside a car on a hot day, but fortunately it was not a sunny day and Brandon was just fine. Initially the crew were trying to enter the car without breaking anything, but when Brandon found a two pence coin and put it in his mouth, the crew smashed the rear driver’s window and returned Brandon to his mother uninjured.